If you mapped your daily/weekly or monthly activities in a four by four quadrant with "time" on one axis and "importance" on the other, this would start making sense. The decision framework here is from "low to high" in the order of time taken for an activity and how significant it is for you. It gives you a framework to unclutter your brain. If you are paying bills or you have x number of monthly repeating activities which take a small chunk of time and are low in importance - then automate those decisions and free your brain. From my perspective, the inference here is in our pursuit for control and heightening the uncertainty variables eventually steals your time and keeps your mind captive. 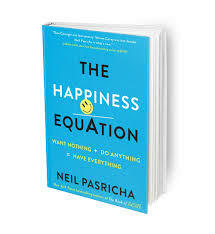 The author proposes the effectuate actions are those that are important, like having family dinners, family time, attending parent-teacher meetings; however these are not decisions where the brain needs to be deliberately engaged. The idea here is to get it done and enjoy "being." Things like checking email, reading time blocks (for me), managing calendars, meetings may involve a lot of time and may not be critical, but the idea here is to regulate these as habits. For me, it is making rules, making time blocks and aggressively sticking to them. I am not saying you should not be flexible but deviating from the time blocks should not be the norm. 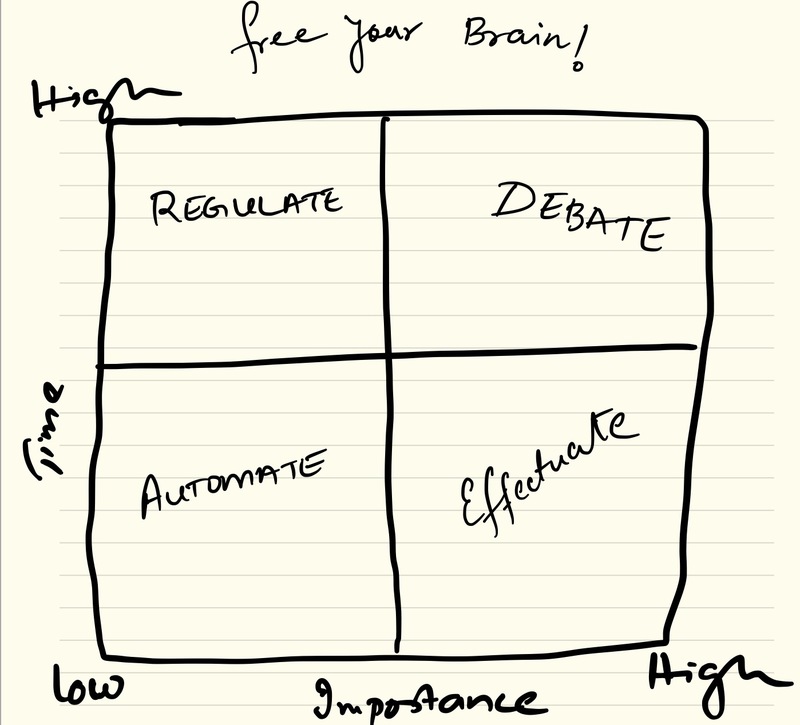 The activities or decisions that fall under the "debate" quadrant is where the brain needs to suspend, take as much time as necessary or possible to make those decisions. These are highly important and time-consuming for you and those involved. Examples can be like buying a house, starting a new program, project, hiring the right person. A good indicator is cost and impact ratios involved if they are high your brain needs to be in this space. As Niel puts it: deep thinking, questioning and wondering. From this, I take away what big ideas and decisions can I act or influence so that we move towards doing the "Right thing." 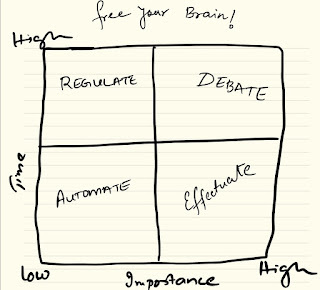 Thinking in this framework positively helps in not only narrowing your focus but freeing your brain from the clutter.